I've been in love with this shade of blue for a while now, so I finally gathered some gorgeous items from Etsy to show it off! If you see something you like, click here to take a closer look. Oooh nice mosaic! I love the royal blue cup. You know, they say that everybody can wear this color....blonds, brunettes, redheads, etc. 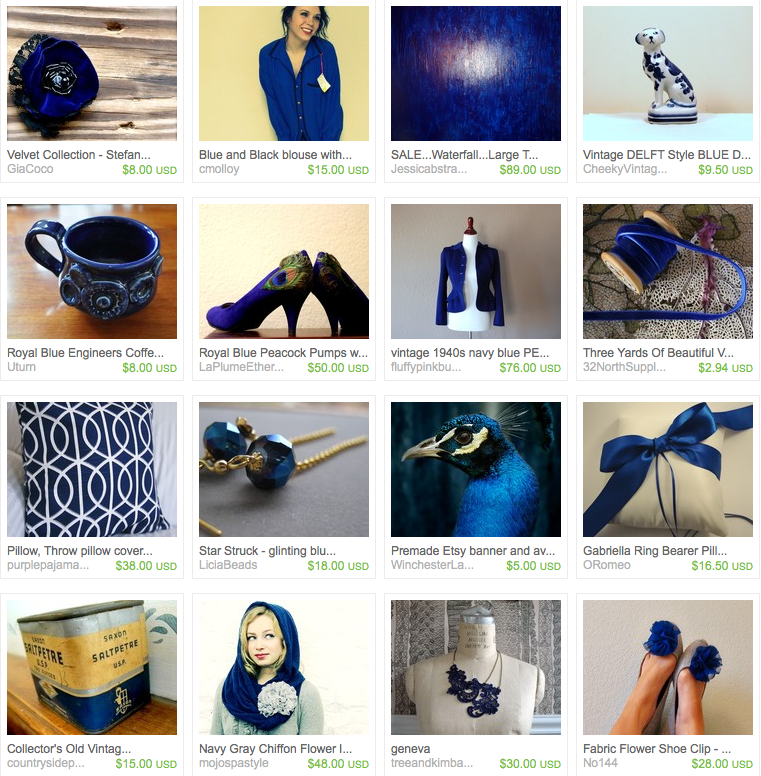 It's funny because I just posted a blue mosaic on my blog )one post back from the current one.) Take a look if your interested.